Here’s the link to my Prezi presentation on the rise and exploration of Japanese metal music. Link to my Reddit Account. Thanks Chris and Sukhmani for all your time and patience. Best of luck to everyone. As far as I understand we are meant to post the artefact here, right? The term JDM (Japanese Domestic Market) refers to the local market for domestic goods in Japan. The term was first used by corporations to differentiate between domestic and international production markets. Within car culture, the meaning of JDM has over the past two decades evolved and morphed away from its original intended use, and now stands as a term loosely used to describe the specific Japanese-esc automotive style. JDM is nowadays a term used to describe anything from ‘stickerbombing’ cars (covering entire parts and panels of vehicles in sticker collages), to lowered vehicles, and front mounted intercoolers. While these attributes may have been derived from original Japanese styles, the term JDM presently remains in a convoluted state. In an age where the Internet has played a fundamental role in colliding popular automotive culture, and the traditional boundaries of car culture have become convoluted, does JDM still stand for JDM? What is JDM? And what defines it? JDM was first applied in Japanese automotive to describe cars and parts manufactured by companies to a Japanese standard of quality. Products that fall under the JDM bracket are those that comply with the regulations of Japanese law, and thus are legal for use in Japanese automobiles. Applying this notion of products tailored to specific markets, parts created for American vehicles fall under the USDM banner, parts for Australia, ADM and so on. Up until the mid-1980’s, the Japanese automotive climate was dominated by popular cars at the forefront of automotive engineering and design. These vehicles in most cases were unique to Japan, never exported to lands outside of Asia. Towards the end of the 1980, shaken laws increasingly encouraged Japanese drivers to regularly update their vehicles, and ‘grey-imports’ (cars previously registered in Japan and built to Japanese standards, but later compiled for foreign markets) became an affordable alternative to local vehicles in international markets; particularly amongst enthusiasts, who were taken by the performance of Japanese vehicles. 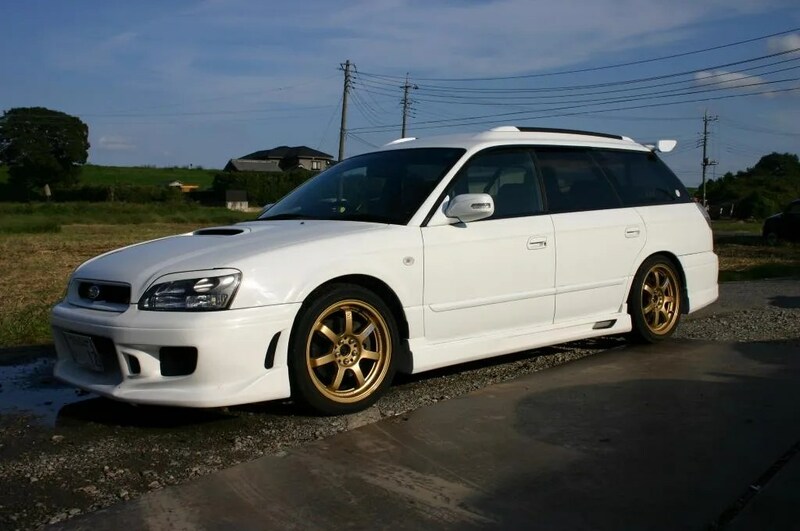 For enthusiasts, ‘the light weight and increasing availability of low cost tuning equipment, (meant that) Japanese cars exhibit(ed) high performance at low costs in comparison to dedicated sports cars’ (Justin Fox, 2010) As the potential for these vehicles was increasingly recognised, grey-imports like the Subaru WRX STI became more commonplace on Australian roads. Grey-import, JDM cars often featured parts specifically manufactured for the Japanese market. Cars of a JDM standard offered more advanced technologies and performance then the very same cars offered in international markets. For enthusiasts, installing JDM parts to locally sold cars quickly emerged as an affordable way of improving automotive performance through making use of factory parts. (To make use of factory parts is to make use of parts designed, developed and manufactured to the highest quality by the companies in which manufacture cars. JDM factory parts are highly valuable to the JDM enthusiast as they offer levels of quality assurance that most aftermarket part companies cannot offer). An example of this process is no better demonstrated than comparing factory parts from an Australian delivered Toyota Sprinter AE86 and its Japanese counterpart (above). Whilst the chassis remained the same, the Australian version of the sports back Toyota featured a lethargic 1.6lt single overhead cam, carburetted motor. 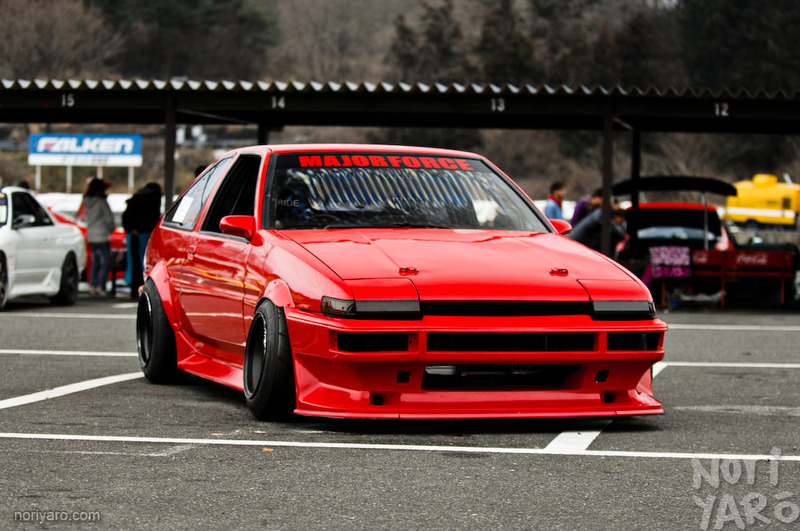 Comparatively, the Japanese version of the AE86, which is now considered a cult classic amongst car enthusiasts, featured Toyota’s free revving, electronically fuel injected, Twin Cam motor, the 4AGE. The value of an Australian delivered AE86 in today’s used car market is between $3000-5000 Australia dollars. A JDM AE86 import? Upwards of $15000. Snapped: The Tilton Interiors Mitsubishi Evolution recently competing at the 2014 World Time Attack Challenge. Japanese manufactured, but Australian developed and built, does this car fall under the JDM or ADM bracket? Whilst there is little in the way of documentation of the cultural shifts within Japanese automotive culture, the nature of the current use of the JDM term is indicative of a higher, progressive evolution in Japanese car culture. The use of the term JDM raises questions about what qualifies as being described as JDM- Are performance parts for Japanese, manufactured outside of Japan considered JDM? What about cars owners who painstaking assemble domestic cars with JDM parts – are they now JDM? Are the Australian built racecars, originally manufactured by Japanese brands, that competed at the recent World Time Attack Challenge in Sydney considered JDM – or ADM? 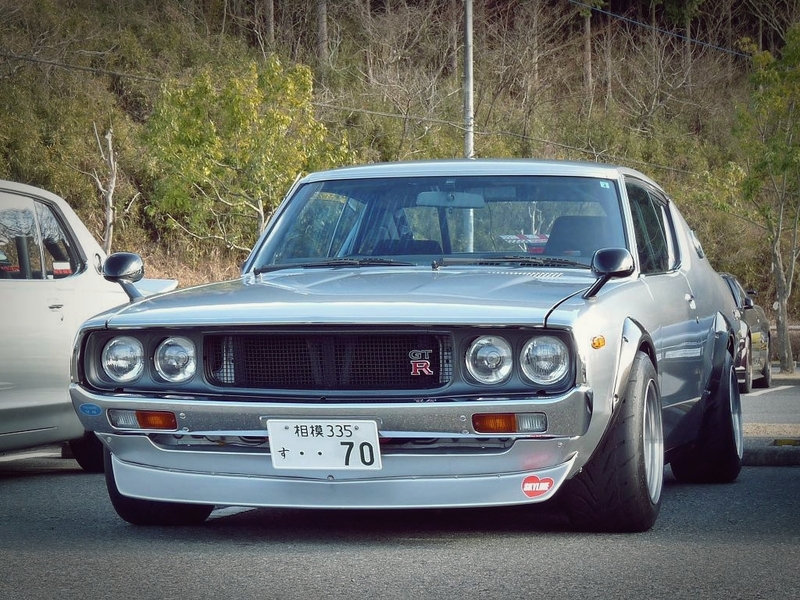 Personally, I believe what defines JDM is that flutter of the heart you experience when driving an old Japanese car. Having driven the original AE86, there is something inquisitively special about being behind the wheel of something so Japanese – the feel, the touch. 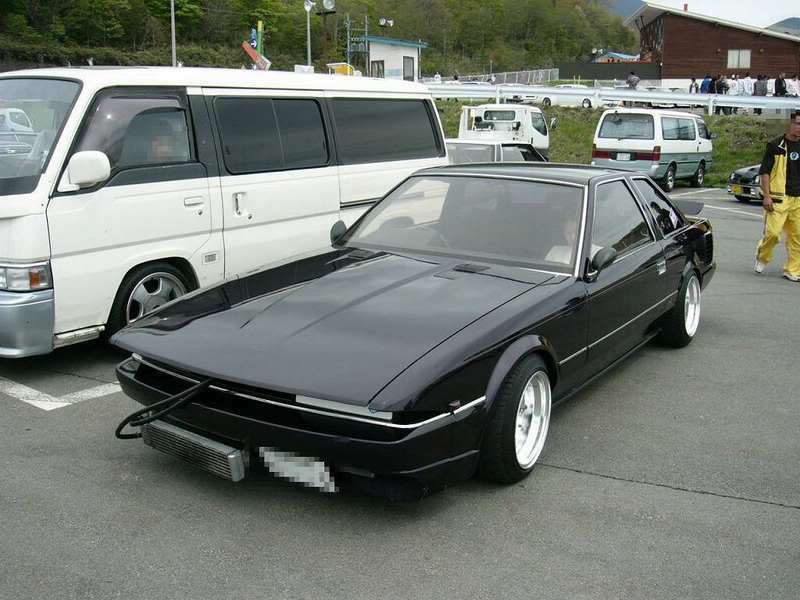 But, contrastingly, having built my own version of an AE86, based on the same chassis Toyota Corolla of the era, and a huge amount of parts taken from JDM AE86’s, I must admit there was something special about that car as well. It may not have been strictly JDM, but the accumulation of parts, made it a special car to drive. The experience of car ownership is one that is vastly different across the globe. From the ‘Yank Tank’ legislation in Cuba which made the purchasing and reselling of vehicles manufactured later than 1959 impossible by law, to the severe costs of car ownership in Singapore, to the open speed limits of the German Autobahn – the legislative, economic and social environments have a fundamental effect on the characteristics of national car ownership. Whilst over the last two decades, mainstream media productions such as the British Top Gear series and movies like the Fast and the Furious franchise have only intensified global automotive interests, these national environments play an absolutely dominant role in the fostering of national car culture. As has been alluded to for much of this ethnographic study, Japanese car culture has affirmed itself as the most profuse and alluring of its type globally. With such a celebration of this automotive culture occurring every day beyond the borders of the Asian continent, one must question the type of environment that has come to foster such a culture? How can a national culture develop to a point whereby it becomes celebrated in other societies across the globe? For the purpose of this study, this discussion will examine the Japanese automotive climate, comparing it to that of Australia’s when possible. With the general lack of conclusive comparison data, any claims made are purely based on my own ethnographic scope. When examining the figures above, the geographic difference between the two nations is immediately apparent. The boarders of the Japanese nation fit snuggly within the Australian continent 22 times. Japan has the 10th largest population in the world, with a ratio of 370 people per square kilometre, whilst Australia just 4. From an automotive perspective, this means a huge amount of motorists, and a huge amount of vehicles on Japanese roads. Japan’s roads are known for being some of the most astounding pieces of engineering in the world, and with 76 million cars on the road, it is no wonder why. As well as this, eleven of the world’s leading automotive companies are Japanese. Each of these companies makes use of local production, producing in excess of eight million vehicles for Japanese roads in 2013. From an automotive climate perspective, such a strong industry has direct implications on creating a nationalistic automotive culture. Figures indicate there are almost 6 automotive vehicles for every 10 people in Japan. Whilst Australia has a higher figure of approx. 7 cars for every 10 people, this is due to the vast size of the Australian continent. The sheer disparity between the two environments is perhaps better visualised when examining how many cars reside with each square kilometre. In Australia, there are approximately 4.5 vehicles per square kilometre; in Japan, a staggering 219. But even more staggering, is the figure revealed when examining the amount of Japanese vehicles that would reside within each square kilometre of Australia, when scaling the Japanese automotive population to that of the size of Australia. If the Japanese automotive population is scaled to the size of Australia’s size, 218 Japanese vehicles would reside within each and every Australia square kilometre; approximately 48 times greater than Australia’s current figure. Evidently, these figures indicate the colossal magnitude of the Japanese automotive population. For a country so small in terms of geographic size, Japan possess possibly the most dynamic, and tremendous automotive environment in the world. The sheer volume of vehicles on Japanese roads perhaps is further influenced by the national automotive manufacturing sector, which is the world’s leading industry. Over 4 million new vehicles are exported from Japan to foreign markets each year. Considering this vast environment, it should come to no surprise the market saturation of vehicles available to motorists. At this time, Toyota offers 37 different cars to Japanese motorists. In contrast, Toyota Australia offers Australian motorists a total of 24. This saturation also results in a huge used car market. The amount of cars available to motorists, in combination with the strict and problematic ‘Shaken’ Japanese registration system, makes keeping cars three years and older on the road for the average Japanese motorist an expensive investment. Keeping classic Japanese performance vehicles like this Subaru Legacy GT (Released only in sedan form, as the ‘Liberty B4’ in Australia) on Japanese roads becomes increasingly costly at the end of each ‘shaken’ period. Owners instead pass on vehicles, leaving most to be exported to foreign markets as ‘Grey Imports’. Japan’s ‘Shaken’ is the bureaucratic system of determining the worthiness of a cars registration. Each ‘Shaken’ can cost up to ¥100 000 ( $1000 AUD), but costs associated with ensuring vehicles pass Shaken laws increase for every registration renewal, makes selling vehicles at the end of a registration period more viable for Japanese owners. Consequently, Japanese motorists are been noted for regularly updating cars maintaining ownership for approximately the first five years of their life – half of the period an American motorist maintains their ownership. Whilst the disparity of registration costs in Japan and Australia is not overly vast, considering the Japanese households earn on average 20% less than their Australian counterparts, high-registration costs are indicative of purposeful legislation to guarantee a constant high standard of automotive vehicles on Japanese roads. For the individual motorist, updating vehicles every five years, demonstrates a cultural, and financial acceptance of such policies. As a consequence of regularly updating Japanese motorists, a burgeoning export industry has emerged whereby up to a million used Japanese vehicles are shipped to foreign shores each year. Countries like Russia and New Zealand have developed an appetite for Japanese imports as they can be compiled and registered for local roads at prices competitive with locally delivered vehicles. In markets like Australia international model imports are limited to strict intakes per financial year, as JDM vehicles often differ greatly from the cars that Japanese manufacturers build for export and vehicles derived from the same platforms built in other countries. Niche imports, such as vehicles only sold in Japan like the cult classic Toyota AE86 Trueno (below), and powerful Toyota Chaser JZX100, offer enthusiasts unique options of vehicles that are not readily unavailable in local markets. These vehicles often carry with them a higher value, derived from their specific appreciations within automotive cultural groups. Cars not originally sold in local markets but are later imported and sold are referred to as ‘grey imports’. Deregulatory motor industries, such as that in New Zealand, have seen Japanese imports flood the market and dramatically alter the shape of the local vehicle industry. Whilst Japanese car enthusiasts tend to buck these ownership trends, the process of selling on late model vehicles is extremely beneficial for their behaviour. With reference to the images below, an identical Subaru Impreza is available to Japanese motorists second hand at almost a third of the price for the same model in Australia. 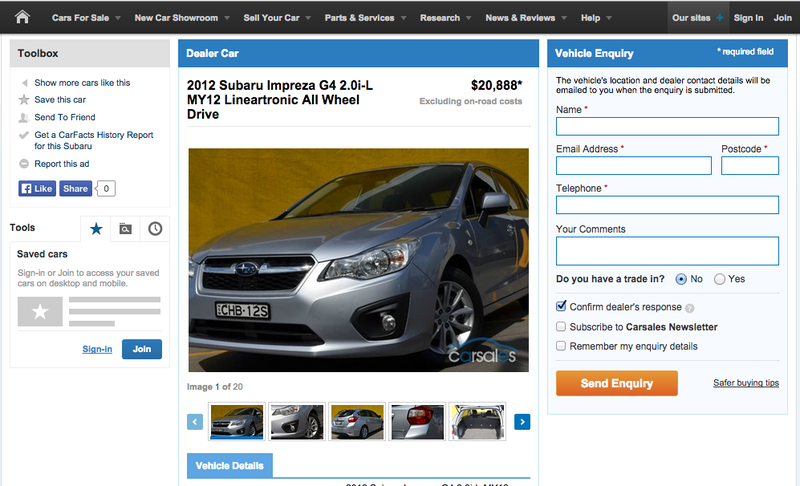 A comparative study reveals the resale value of a 2012 Subaru Impreza is vastly less in Japan than in Australia. These price differences are driven by Japan’s ‘shaken’ registration and a ownership culture focused on updating vehicles every couple of years. Even factoring possible ‘Shaken’ costs, used cars in Japan are far less expensive than in Australia, thus making cars more affordable and as well accessible for the enthusiast. Interestingly, when examining pricing of European vehicles, it is evident European cars from brands such as the BMW or Volkswagen are more marginally more expensive within Japan than Australia. From an auto-ethnographic scope, I would argue such pricing mechanisms again reflect an attitude to maintaining update to date motoring. For the motoring enthusiast, second hand vehicles are more cost effective within Japanese markets. Consequently, Japanese automotive enthusiasts who modify domestic vehicles, such as the Nissan Silvia, Honda Civic and Toyota GT86, are encouraged by the sheer volume of vehicles available within the automotive environment. For those willing to pay ‘shaken’ costs, cars are readily available, at cheap prices. Contrastingly, Australian vehicles that generally maintain a higher value have a direct influence on the automotive enthusiast. Those discouraged by pricing are less likely to invest further in their vehicle into their vehicles, and higher purchase prices suggest the Australian motorist is less likely to change cars frequently. As well as having a huge wealth of second hand vehicles available, the excess of cars in Japan makes automotive parts more accessible to enthusiasts. Such is the demand for specific parts, that a entire industry has emerged that specialises in stripping cars of these parts of value and selling them on to enthusiasts. 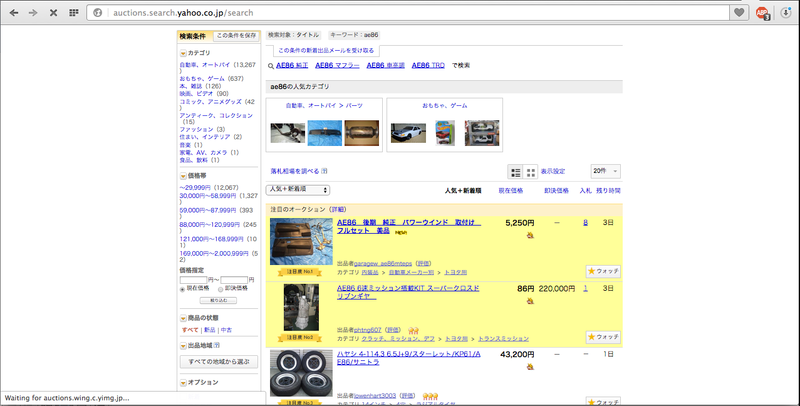 Yahoo Auctions, Japan’s answer to eBay, serves as the main gateway for these transactions. The readily available nature of automotive parts drives companies to keep competitive prices, which are affordable to the average enthusiast. This affordability fuels an environment whereby the average Japanese individual can engage with their passion in modifying vehicles. To conclude, the colossal nature of the Japanese automotive climate has initiated a cultural environment whereby cars are such a dominant element within society. The sheer amount of cars on Japanese roads each day remains unmatched by another nation in terms of scale, and in itself has given birth to an entire industrial sector to which Japanese manufacturers lead the way. For car enthusiasts, the saturation of vehicles has seen cars progressively become a cultural icon. Japanese motoring has given birth to an automotive legacy that is individual to the Japanese nation and celebrated by car enthusiasts across the globe. Japanese car culture is self-feeding: The sheer volume of the Japanese car industry fuels an appreciation of the individual’s vehicle, which fuels a demand for high volume of vehicles and parts used by car enthusiasts. My research aims throughout this study have been to gain a better understanding of the online gaming culture across eastern and western platforms, through analysing League of Legends (LoL). In order to achieve this I have explored different elements of the gaming culture such as, the idea of celebrity, interacting with the game through personal experience, analysing competition and exploring different motifs reflected within the culture. Through my research I have come to realise that online gaming culture strives on two very important elements; competition and teamwork, both of which I consider to be two extremely social and interactive constructs. This whole competitive and interactive culture behind online gaming creates a interesting social network and presents something I always assumed was a leisurely activity as a well marketed sub-culture that is internationally recognized. All of the research I have discovered and through my own personal experiences gained, it has been brought to my attention that online gaming culture and games such as LoL are not merely a way to kill time, they are a lifestyle, a career, a leisure activity and a sense of community and freedom for so many young people across multiple cultural platforms. Car culture is very much about defining one’s own identity through their vehicle. Practices of modification within their own right exist as key aggregators to these cultures. At any one time, there are thousands of different styles and demographics of associated automotive cultures that are dynamic in their own way, and are the meeting points for like-minded car enthusiasts. The car, in its rawest form, is a cultural icon, a pervasive and accessible possession that is personal in a manner that few other goods are. Vehicles are “a blank canvas that allows [the] owner to paint himself in any fashion desire” (Hill, 2006). Within the banner of Japanese car culture, these sub-genres exist more clearly defined, than any other car culture from across the globe. Cars are mediums for which enthusiasts to engage subjectively with their own identity, and with the wider notions and ideas of political and social society. Cultural automotive styles such as Retro, Show, Race, Stance, and VIP by no means exist only within Japanese car culture, but it is the degree in which these cultures define themselves that sets Japanese car culture apart. Rebuilding a 1980’s Corolla with parts for drifting was a way of engaging with Japanese car culture, but as well, with my own identity. 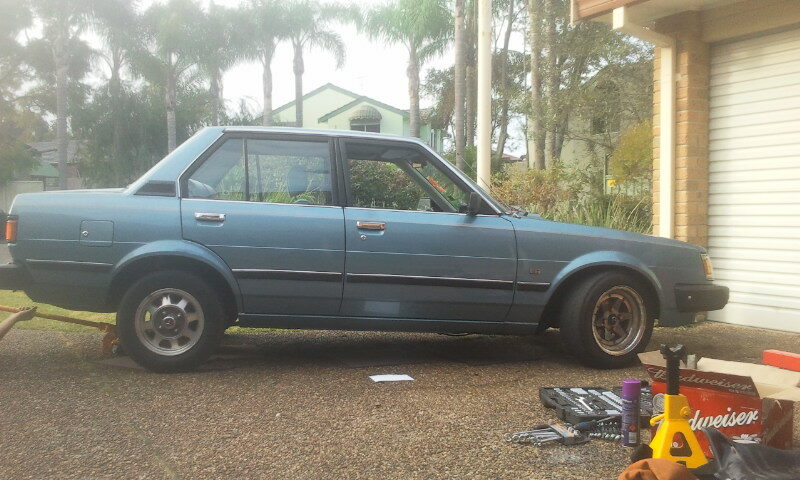 Driving a modified Corolla as a way of expressing my own automotive ideas. 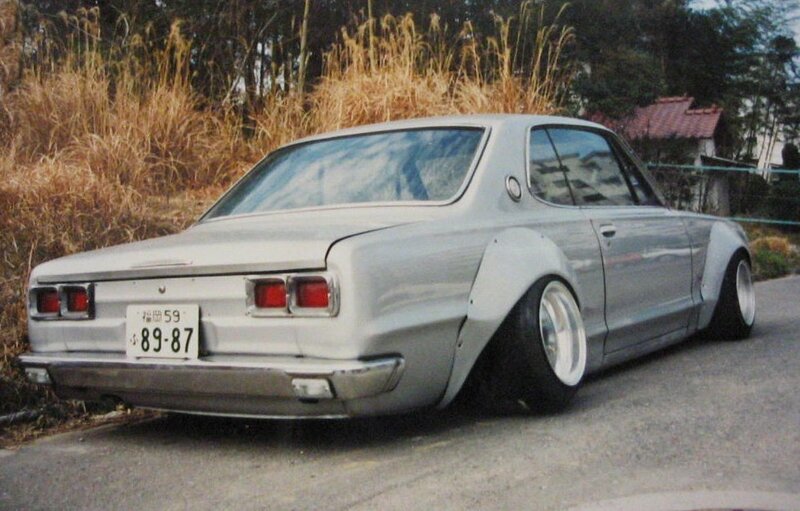 Bozouku and Shakotan culture are two key examples of peripheral Japanese car subcultures. Similarly to the Rat Rod styles in American, and Bikie culture, which emerged in post-war American society and has since spread globally, members of these cultures exemplify behaviors and demonstrate behaviors that purposefully oppose specific notions of current cultures. For the original members of Bozouku culture, driving around at early hours of the morning revving their engines loudly and creating a ruckus was a way of pushing the boundaries of acceptable behavior; a personal form of protest against the societal discourses that were valid at the time. Similarly, Kyusha has its own identity; a culture that revolves around the appreciation, and modification of timeless, vintage Japanese vehicles. Again, these decisions are direct statements about their own personal values and identities. With ‘..goods a visible part of culture’, the vehicle plays a fundamental role, as a personal, non-verbal confirmation of these beliefs. These Vehicles constitute “a pattern of meaning inherited from the recent past.. for the interpretive needs of the present”. (Douglas and Usherwood, pg. 83). Whilst these deep rooted cultural tones and sub tones are yet to emerge to such an extent within the Australia Japanese car culture, ideas of culturally constructed identity are recognizable through other distinct clues – more specifically, the cars enthusiasts choose to drive. Within the Australian automotive context, a rich racing history combined with entire generations of Australian’s brought up on the affordable, Australian family saloon underline a national cultural connection to the Holden Commodore and Ford Falcon. Whilst over the last two decades the influx of overseas models and manufacturers, coupled with shifting focuses of the Australian driver have come to absorb a significant portion of the market once dominated by the Australian built saloons, the Commodore and Falcon still encapsulate the principles of Australian automotive. Furthermore, with at the current time Holden offering over ten different performance variants of their Australian built Commodore, these vehicles are indicative of much of the performance-engineering ethos of the Australian automotive landscape. Whilst these Australian saloons are not directly related to this current ethnographic study, they play a fundamental role when analyzing Australian Japanese car culture. In Japan, the basis of Japanese car culture is making use of, in many cases, the ordinary Japanese car. Ignoring cult classics like the Nissan Skyline GTR and the Mitsubishi Evolution, the majority of modified Japanese cars start life at their core as ordinary transportation vehicles. In the same way the Holden Commodore and Ford Falcon make up such a part of Australian culture, these cars are intrinsic to the roads of Japanese. Consequently, is becomes second nature for the Japanese enthusiast to modify a car taken from the everyday roads of Japan. Through their practices of modifications, these owners are to set themselves apart – to demonstrate an expression of their identity. By examining the popularity of foreign Japanese car cultures, such as those in Australia and Europe, the true depth of Japanese automotive influence reveals itself. In a country dominated by car traditions so deeply rooted within Australian culture (image below), the dynamic, yet peripheral Japanese car culture occupies a significant part of Australian automotive climate. For the Japanese car enthusiast within Australia, the choice to drive a Japanese vehicle; be it for looks, performance, style or unique factor, goes directly against the cultural trends and underpinnings of dominant culture within Australia. Furthermore, most enthusiasts will agree when stating that these decisions in fact are not decisions made consciously; they are not actively considered – instead, in one way or another, enthusiasts become enthralled by the ethos, the magic of these vehicles. 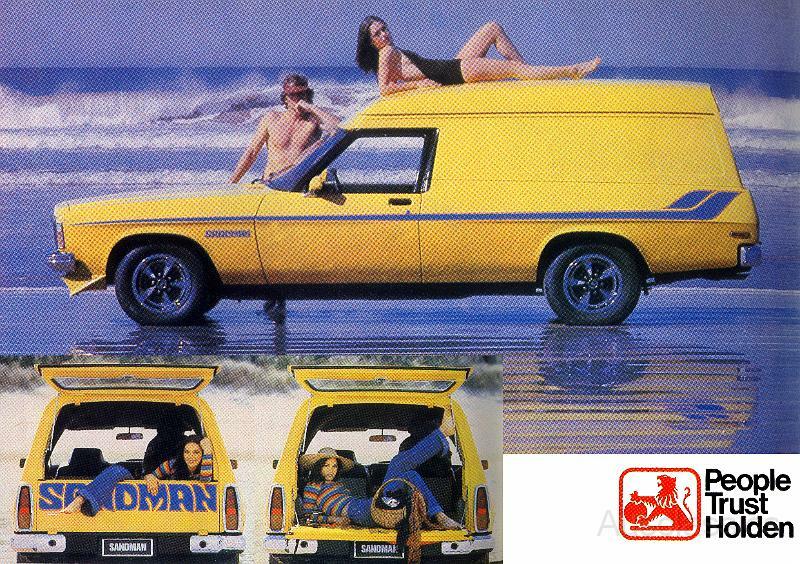 The original Holden Sandman was a vehicle taylored for the easy going, beach loving Australia. The Holden became a cultural icon for the working class Australian. This theory can be recognized in countless ways across the culture, from grass-roots drift days held at local tracks, to the casually organized car cruises that occur each and every weekend through national parks and driving roads across the country. Perhaps one of the best examples is the convergence of car enthusiasts each year in October at Eastern Creek Raceway, in South West Sydney. The World Time Attack Challenge invites Japan’s best Time Attack cars to compete against the rest of the world’s best in a battle against each other and the clock. These world renown tuners, not only bring with them race cars at the forefront of their craft (JDM cult hero RE Amemiya completing a pit stop in the Eastern Creek Pitlane), but as well, an intangible explosion of Japanese car culture that has far reaching effects on the Australian automotive climate. Ignoring the hype that surrounds watching these teams operate up close and personally throughout the weekend, one just has to take a walk through the spectator car park to witness vehicles built and driven by Australia car enthusiasts to appreciate the true effect of Japanese car culture. Whilst these cars may not exhibit the same performance prowess of the cars competing, nor be funded by deep pocketed team sponsors, these cars are parked purposefully as an expression of owners pride, and identity – these physical machines are above all else, a manifestation of culture. (McCracken, p. 65). I don’t know if I mentioned this before but during my high school years I dabbled in the game DotA. I was never any good or really knew what was going on, but the boys I went to school with used to go to the internet café across the road from the train station and local shopping center after school to verse each other in the game. Some of my girlfriends and I would join them to watch and sometimes participate. I distinctly remember being a chicken with a backpack and running around the screen – this is about all I remember to be completely honest. When years later and I discovered my brother and his friends playing what appeared to be some kind of Warcraft game I automatically assumed they were playing DotA, to which my brother corrected me and sounding almost offended by my stupidity informed me that it was in fact LoL. This baffled me, as both the games are the same right? THEY LOOK EXACTLY THE SAME! Well no, they are actually not the same and this is an extremely touchy subject for lots of different people involved in the online gaming world, so do yourself a favour and don’t ever suggest it is the same thing! This video essentially depicts the history of both DotA and LoL and compares the two games. This video helped my gain an understanding into how the games are perceived from an insider point of view. In the video the narrator introduces you to significant game creators and this presents a link between the two games. DotA and LoL both gained mainstream popularity with help from a video game creator by the name of Guinsoo. Guinsoo helped to shape DotA and turn it into a more approachable game through introducing player to player options, adding variety and different monsters to the map. Guinsoo then passed the game onto a creator by the name of Ice Frog (their names are so good, it’s hilarious) and Ice Frog helped to build DotA’s popularity through increasing it’s player base. DotA however was still a ‘mod’ of Warcraft and as a result of this it relied on Warcraft engines to run, limiting it’s functioning and making it hard to control. Guinsoo saw this as an opportunity to introduce a new game to the marketplace – LoL. Along with Pen Dragon (another fantastic name) Riot Games was formed and essentially LoL was created using DotA as inspiration, however adapting the game through introducing new artstyles, champions and items. LoL used simplified mechanics and got rid of difficulties users had found with DotA. This gave LoL a competitive advantage and explains why the game is so much more successful and groses the most amount of profit internationally. LoL is free to play and easier for players to learn therefore it is extremely accessible, especially for first time players. The video goes on further to say that DotA fans refer to LoL as a “casual game” due to this modifications. Through browsing the comments on the video I found a comment that had received a large number of likes, this comment was from a YouTube user named, Mr Leemurman and it stated: “LOL= Toxic Newbs, DOTA= Elitist Jerkwads, Pick your poison.” This made me laugh, as it explains the way in which the two games are marketed against one another within the gaming community. Through watching this video I have gained a much broader understanding of the origins of LoL and how it is compared to other games within it’s genre.